Young people in the West Midlands are missing out if they don't think about a career in the food sector, Environment Secretary Caroline Spelman said today. Speaking on a visit to the Shropshire Food Enterprise Centre, the Secretary of State met local food and drink businesses including the TASTE kitchen and Coopers Gourmet Sausage Rolls to learn about the challenges they face, including recruiting new apprentices. The food industry is worth almost £90bn a year to the UK economy, but by 2017 it could be short of up to 100,000 skilled workers, especially in food technology. “Our food industry employs 3.7 million people and contributes almost £90 billion to the UK economy. But well qualified and ambitious candidates are needed to plug a big skills gap right across the food chain if it is to continue to grow and innovate. During the visit Mrs Spelman met Kelly Jones, 18, who has just begun her apprenticeship as a chef in the TASTE kitchen at the centre. In July this year Agriculture Minister Jim Paice announced 50,000 new apprenticeship opportunities in the food industry as part of an industry drive to get more young people into skilled food jobs. Improve, the sector skills council for food and drink manufacturing and processing, has predicted a need for 137,000 new recruits between 2007 and 2017. The Shropshire Food Enterprise Centre is managed by Heart of England Fine Foods (HEFF). The Centre was created specifically to encourage start-up and growing businesses. 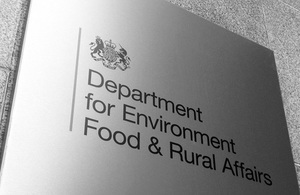 In July 2011 Agriculture Minister Jim Paice launched the new Defra-sponsored action plan to get food businesses to run more apprenticeships and change the way young people to think about working in the food industry. The Skills Action Plan for the Food Supply Chain was developed by a steering group of representatives from businesses, industry bodies and skills organisation partners, and a range of contributors from every aspect of the food supply chain. The full plan is available at www.igd.com. More information about Apprenticeships can be found on the website of the National Apprenticeship Service at www.apprenticeships.org.uk.